Attention Business Owners and Sign Makers: A completely new sign standard has been adopted by the City of Jeffersonville (2015-OR-21). See the Planning Department webpage on www.cityofjeff.net in the Department Directory or call 812-280-4733 for more information. The new sign standards replace the previous General, Temporary, and Permanent Sign Standards of the Jeffersonville Zoning Ordinance. 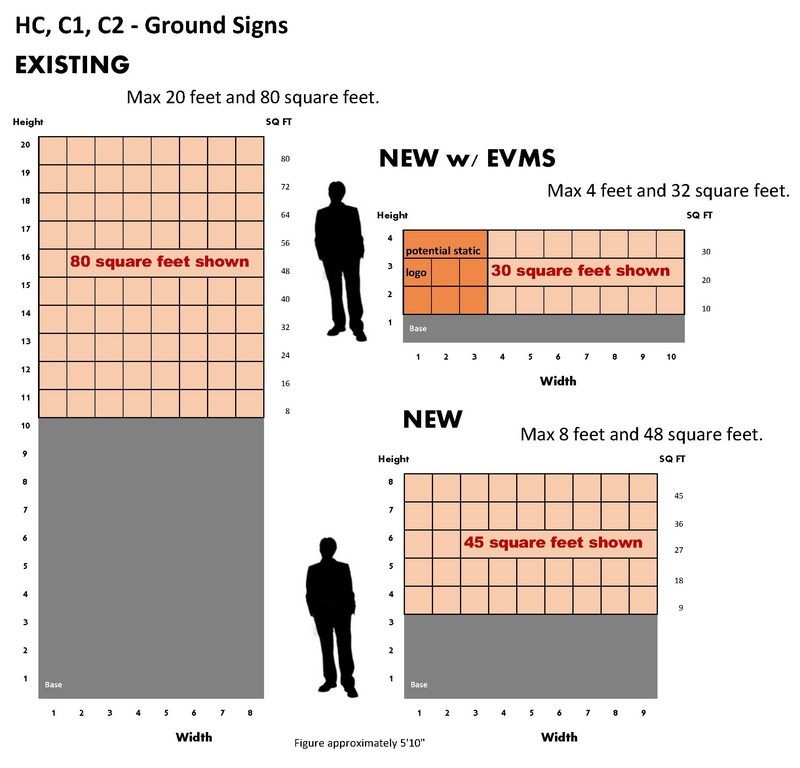 Major changes include the reduction of height for commercial signs to 8 feet, the addition of LED signs (contact us for details on restrictions for these signs), and the inclusion of two new sign types for use in the pedestrian scale zoning districts. Over the past couple of months, the Planning Department has engaged in research on sign standards in neighboring communities, site visits to measure existing signs in Jeffersonville, and presented to City Council members the proposed changes to the sign standards. Staff has worked through revisions from these presentations and drafted a completely new sign ordinance with an accompanying graphic guide to present for favorable recommendation by the Plan Commission and adoption by City Council.